How to Install Warcraft 3 TFT 1.24 Patch (Online)? Warcraft 1.24 Patch Online Installation Guide: How to intall WarCraft 3 TFT 1.24 Patch (Online). Blizzard has released 1.24 Patch for the fix of custom map virus. 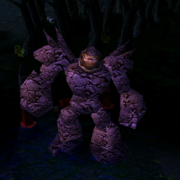 Warcraft 3 TFT Patch 1.24 is available for download, read the guide of installing patch 1.24 by connecting Battle.net below..
- To get the Warcraft 3 TFT 1.24 Patch patch, select the Westfall (ClassicBeta) option from the realm menu on battle.net. Your warcraft will then be patched to 1.24. You need Original copy (CD-key) of Warcraft 3 for this. - If you need to revert back to 1.23 for whatever reason (for example, if you need to test something in 6.61b to compare), just change to a different realm and click connect. Warcraft will then revert back to the older version. Note: You can only play Dota 6.61c on Warcraft 1.24 Patch. If you don't have Original CD-Key of Warcraft 3, Check the Guide to Install 1.24 Patch Offline. You can share your thoughts and suggestions about this new War3 1.24 Patch. You may subscribe to Dota Utilities to get all the future updates. how to unistall it and replace with 1.23 again? guys i installed this patch and now i want to unistall it. how i can do this? TELL US HOW TO UNISTALL THIS SH1T MAPHACK DOESN'T WORK AT 1.24..ADMINISTATOR PLS GIVE ME AN ANSWER!! i facing this earror during installation. all people who are just HOPING in maphacks are super weak noobs! ASA boy! i install 1.24 patch already , but when i run dota 6.63 and it cant run, why ? I still can't login into battlenet.. why? how to intsall after downloading the patch it says some registry error. 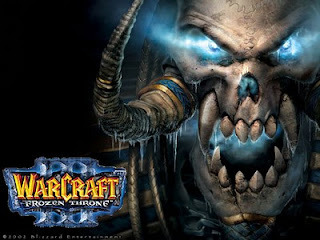 Q: can u guys help me where i can find warcraft3 application installer in internet..